Have confidence in your renters with our quick yet careful qualification process. 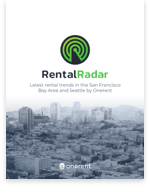 Our tenant screening process is quick, thorough, and free for prospective renters. Once the prospect is interested in leasing your rental, we guide them through their application and qualify them with a credit check, background check, and employment and income verification. We’ve made it easy and secure for them to upload paystubs, employment docs, and bank docs via desktop or mobile, so they can move forward with their application with ease and confidence. Our tenant screening criteria requires that the prospective renter or group of renters has a 650 or higher credit score and a combined 2.5x income multiplier over the monthly rent amount. They must also pass the eviction history check. Residents over 18 must apply to the property and be on the lease. We work it out with property owners when it comes to students, international applicants, section 8 tenants, and other unique scenarios. While we strictly follow our qualification criteria during tenant screening, in some cases we can qualify groups that can show alternative yet valid forms of financial stability. The most qualified and complete applicant group, along with their specific criteria, will then be presented to you for final approval. Our screening process abides by state guidelines and federal fair housing laws. While we recommend the first qualified applicant group, the property owner ultimately makes the decision. Owners must select a tenant group based on financial criteria or other criteria that meet their business needs as property owners. It is unlawful for real estate professionals or property owners to discriminate against a prospective renter based on the person’s race, color, religion, gender, sexual orientation, marital status, national origin, ancestry, familial status, source of income, or disability. Check both Federal and local California or Seattle laws for exact details on how to properly screen applicants.